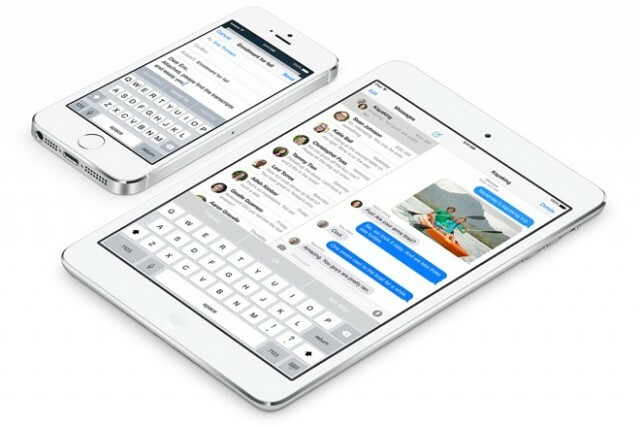 Apple has just released the second beta of iOS 8 for its developers. The new beta brings a few new features, a number of fixes and some new changes. With iOS 8 beta 2, Apple’s official Podcasts app is part of iOS by default and as you would have guessed, it cannot be uninstalled. Apple made the the iBooks app part of iOS with iOS 8 beta 1 and now the Podcasts app. The QuickType keyboard now comes to the iPad as well. The new predictive text offering keyboard came only to iPhones in the first beta. The camera and voice button in the Messages app on iOS 8 are now gray in the new beta. The new beta also brings a few changes in Safari. Now, Safari blocks any ads that redirect directly to the App Store without any interaction. Safari now also lets you easily add links to shared links. The iOS 8 beta 2 brings numerous fixes, which includes a working brightness slider. It also fixes the crashes while adding a new third party keyboard. New settings are also included in the beta 2. You can now see battery usage per app, disable all notifications and enable iCloud photos for sharing. If you can’t wait for the iOS 8 release later in the year, you can install the iOS 8 beta 2 but as with every other beta, you should be ready to embrace the numerous bugs and the usual crashes.